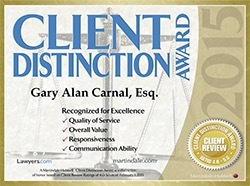 Experienced St. Petersburg elder law attorneys since 1986. If a family member has become unable to make their own decisions or manage their own finances, a challenging situation can result. A guardian may need to be appointed to protect his or her interests. An individual should have a guardian that will keep his or her best interests in mind. The St. Petersburg elder law attorneys will always respect the dignity of your loved one while ensuring that action is taken to protect their interests. When you need help caring for a parent or loved one, you may need to petition the court for a guardianship. A legal guardian is a court appointed individual who makes some or all of the personal and financial decisions for a person. Professional Guardians: Professional guardians are regulated by the State, monitored by the courts and are familiar with community resources. This is an option if you are unable to act as guardian. Family Guardians: For many families, keeping the care of your loved one within the family is a main goal. Family members may be more familiar with the family dynamic, finances and wishes of your loved one than an outsider would be. Before you become unable to make decisions for yourself, set up a clear plan to ensure your wishes are carried out. A well thought out estate plan saves your family from lot’s of emotional stress. We can help you establish living trusts, special needs trusts, income trusts, and wills. You need to “spend down” your estate or transfer your assets into a trust. We can sit down with you and determine what you need to do as far as Medicaid planning and probate administration. Contact us to set up an appointment today.